This design was drawn by Jimmy Don for the inaugural Silo District Marathon hosted by Magnolia Market on May 6, 2018. The perfect way to show off your hard earned medal. 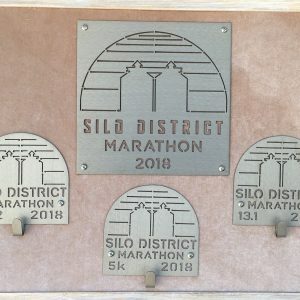 This 10″ sign proudly displays that you were there for the Silo District Marathon of 2018. 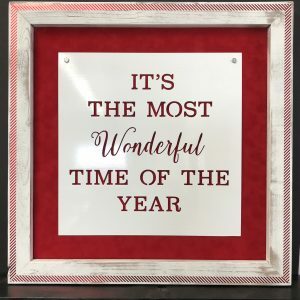 With 4 holes for mounting, this piece will sit flat against the wall to show your hard work and serve as a reminder of race day. These pieces are all limited edition and have limited quantities.